The catalogue „Afterimages of Life. Wladyslaw Strzeminski and Rights for Art”, that bears the same title as the exhibition organized in the Muzeum Sztuki in Łódź, is a recapitulation of artistic creation of Władysław Strzemiński. The publication is divided into three chapters designed in three different ways to facilitate reader’s reception. Each one of them is marked with different colour (red, yellow and blue are colours refering to Strzemiński’s creation). Also each chapter has it’s own font and construction. It is related to the character of the texts (the first part consists of curators’ critique texts, the second part is composed of fragments of Władysław Strzemiński’s novel, and that is why only in this particular chapter serif font is used). 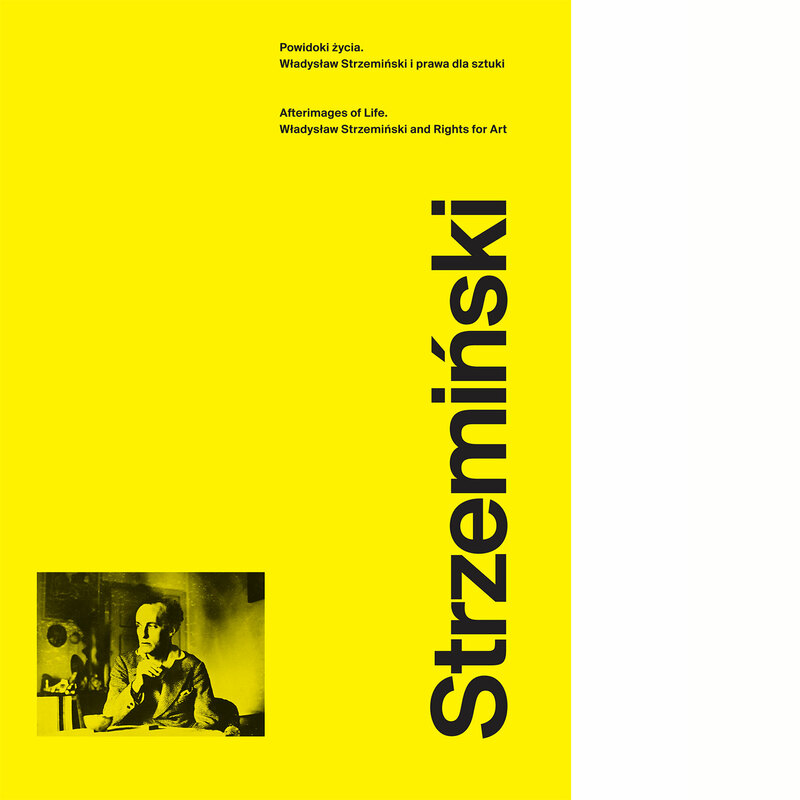 Yellow hardcover refers to artist’s distinctive work Unism Composition No.13. Publication accompaning the exhibition: „Afterimages of Life. Wladyslaw Strzeminski and Rights for Art” which took place at Muzeum Sztuki in Lodz (30.11.2010 - 27.02.2011).